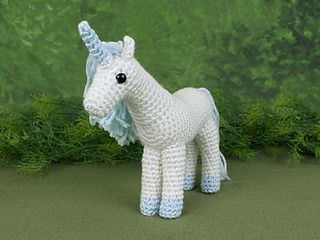 This pattern is available from planetjune.com for $3.50. 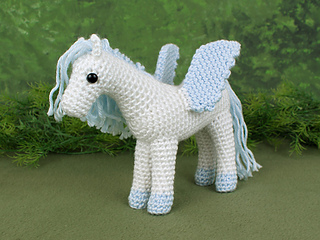 Please note this is NOT a complete pattern: this is an EXPANSION PACK for my Horse pattern. 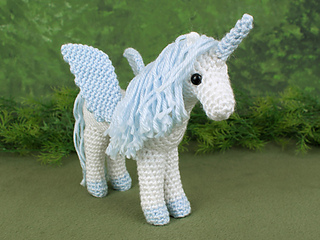 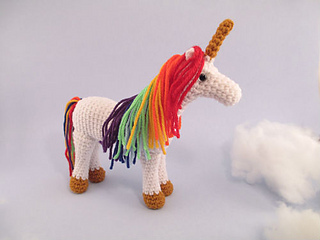 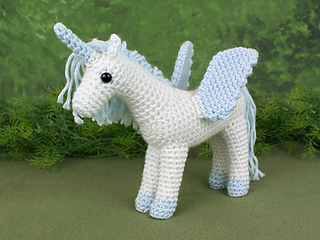 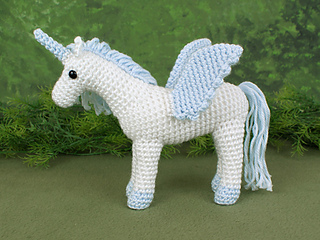 It includes all the modifications required to crochet a Unicorn, Pegasus or Alicorn (winged Unicorn). 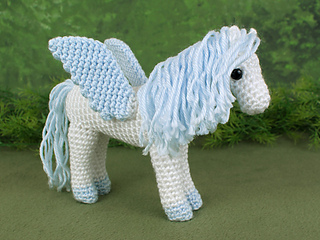 Additional info: The elegant wings are a combination of sturdy and decorative, as they’re stiff enough to stand up by themselves, while still looking delicate with the feathered edge. 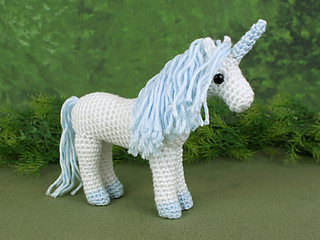 This pattern also includes instructions for making a rainbow-coloured mane and tail! 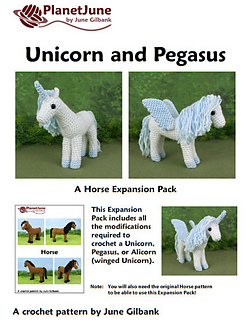 You can buy the Horse pattern together with this expansion pack at a reduced price here. 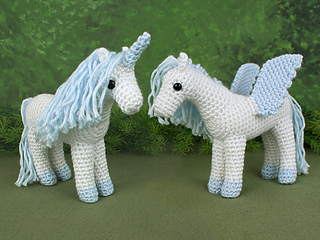 Or if you already have the original Horse pattern, the pattern link on this page will let you buy just the Unicorn and Pegasus Expansion Pack.